Consistent with previous years, the first half of the year represents SHM’s low season, due essentially to product seasonality. The group is a leading kitchen appliances and consumer products marketing and distribution group operating in Australia and New Zealand. The company markets and distributes an extensive range of company‐owned brands (including Omega, Robinhood, Everdure and Omega Altise) and third party owned brands (such as Casio, Blanco and Pioneer). In the consumer products division, ‘Everdure by Heston Blumenthal’ BBQs, Blanco sinks and taps, Blanco appliances and a new G‐Shock timepiece range performed well. Weakness in kitchen appliance distribution could be partly attributed to subdued activity in the retail sector. However, there were also lower sales in the commercial sector which compounded the issue. While there were challenges, management was encouraged by the resilience of the business in withstanding these conditions, and in particular this underlined the benefits of its diversification strategy. Product development, an essential component of SHM’s strategy, continues and the company has a number of new products planned for launch late in 2018. A focus of this strategy will be an expansion of the ‘Everdure by Heston Blumenthal’ BBQ range. The global release of this range in Germany and the US has resulted in orders which are in line with management’s expectations. SHM plans to include an outdoor oven and numerous innovative BBQ accessories including a range of high quality knives. The outdoor oven is expected to be released to the Australian market in September 2018 and into the US market in late 2018 or early 2019. 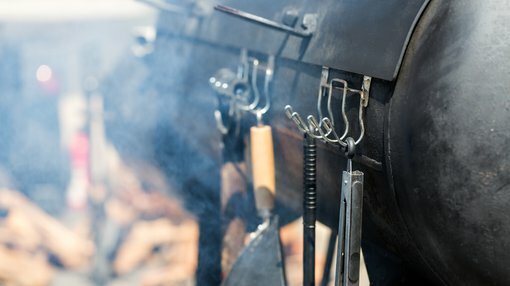 The increased popularity of cookware such as outdoor smokers could drive demand for similar ‘out of house’ products that are in a sense a lifestyle choice. A number of improvements to the company’s supply chain resources have been made in readiness for increased international demand. investors considering this stock should take all publicly available information into account and seek professional financial advice before making an investment decision. From a broader perspective, the kitchen appliances business segment underperformed in the first half, but SHM expects a home renovation market uplift whilst interest rates remain low and house prices and transaction costs remain high. The kitchen and the bathroom have a track record of being the areas most frequently renovated, having the potential to drive demand for SHM’s sinks and taps. Indeed, renovation activity often accelerates when house sales fall, as owners choose to upgrade their existing homes. Across other areas of the business, the Omega appliances product range has been revamped and the new range, which will be released progressively in coming months, is expected to assist in market share growth. In the short term, the clearance of the old Omega range may result in some margin pressure. Robinhood has released a new range of laundry tubs developed and patented by SHM, into the New Zealand market. Initial reactions from retailers have been positive, and SHM expect this range addition to further strengthen Robinhood’s dominant position in New Zealand’s laundry tub market. SHM is forecasting a full-year net profit in a range between $10.5 million and $11.5 million, representing earnings per share of circa 11.5 cents. While this is shy of consensus forecasts, the company has traded in the vicinity of $1.00 today, implying a price-earnings (P/E) multiple of 8.7. This compares very favourably with the sector average of 12.2, and perhaps suggests any significant retracement could be a buying opportunity. Also worth noting is the company’s dividend. Should the second half dividend at least be in line with the interim dividend, which one would expect given the skew in earnings towards the second half, this would equate to a full year dividend of 8 cents. This implies a yield of 8% relative to the company’s current trading range. SHM has a record of paying strong dividends, having returned 11 cents per share in fiscal 2017. Notably, in that year the first half dividend was also 4 cents per share followed by a strong second half dividend of 7 cents.